TFK mixes up which coaches lead which groups which I think is awesome because it means more perspectives, more advice and more styles to learn from. The coach that led our group out 2 weeks ago stressed that we were going to start off easy and all run together – there would be time to pick up the pace later. Perfect! I’ve been trying to focus on having control over my runs vs. pushing my hardest for each one. (the whole work smarter not harder thing? I was never good at that.) I had no pain during the entire run – a first since February!! Of course my bloodsugars wanted a turn at challenging me. I had had a pretty good formula for food & insulin that I was testing out in our past long runs and I tried to keep in line with that but my pre bloodsugar was a tad higher from the start …. which included high blood-sugar hunger (not to be confused with low blood sugar hunger or normal hunger). So I wasn’t feeling awesome going into it. By the time I caught up to everyone at the water fountain I feeling sick. I did a bloodtest … 210. Spiked since breakfast, not awful or enough to stop a run but insulin kicking in, carbs breaking down and trekking along on a run was sending a lot of mixed signals. It was my first time time doing a blood test during a TFK run (that sounds way too important), I was already kind of on my own so did my thing and kept going. By the time I met up to the next turn point with the coach directing us I was struggling. As she gave out directions and tips I used that time to blurt out I was diabetic – just a heads up. With in our little chat another TFK’er caught up and we started on the new path together … only I struggled to keep up. By the time I saw the coach again she asked me how I was feeling and gave me a new plan – instead of 6 miles I was going to do 5. As she told me, it’s better to cut it short and run it strong then be shuffling losing form at this point. Instead of getting embarrassed that I was taking a modification I embraced it, I was kind of already doing my own thing anyways. Instead it gave me confidence to make it my run. Since I have awful sense of direction I missed the point she told me to run up to so I went a little further but circled back before the planned turn. 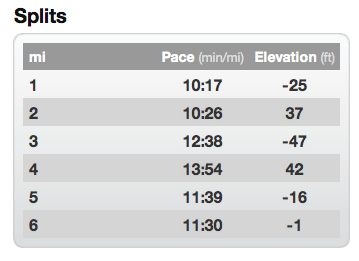 Best part was the strides at the end reminded me that I do have what it takes – I’m just not there yet. The coach wasn’t there last week but her style was exactly what I needed for that shift from injuries to bloodsugars and I look forward to learning a lot from her. Categories: Uncategorized | Tags: central park run, coach, Long post, long run, morning run, Sunday run, TFK, tfk run, training | Permalink.